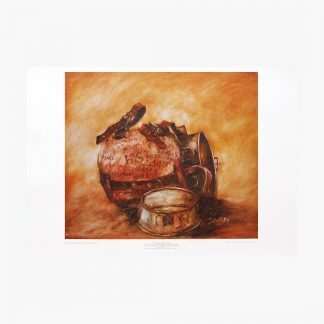 Limited edition print (250 copies only), 760 x 1020 mm (30×40inches) with 40mm (1.6inches) white border. 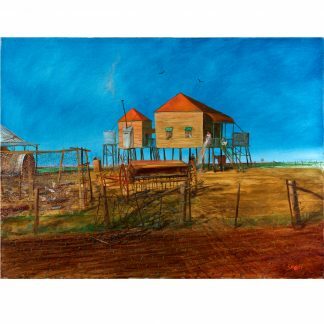 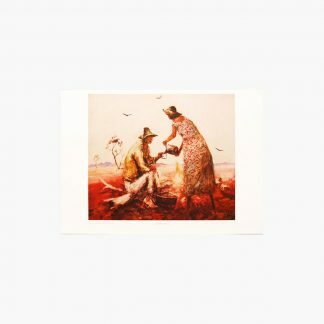 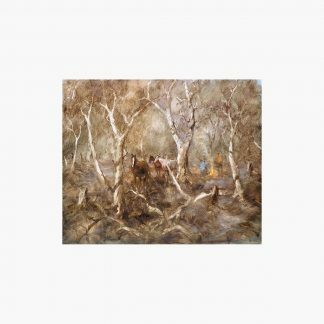 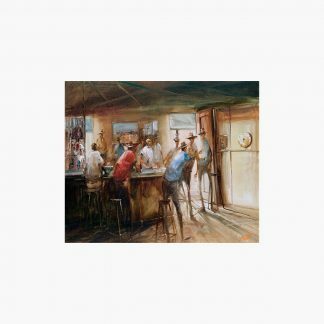 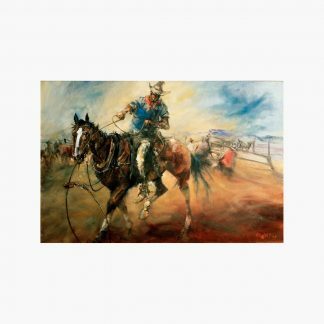 Giclée print on canvas. 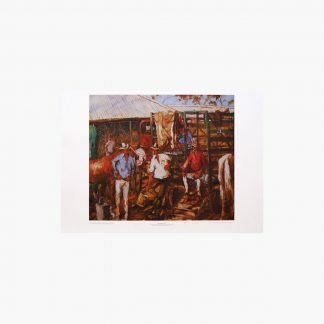 Comes with numbered certificate signed by Anthony Sawrey as representative of the Hugh Sawrey estate. 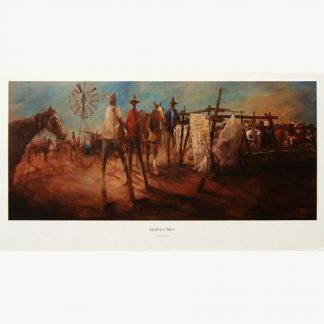 All prices include postage and packaging. 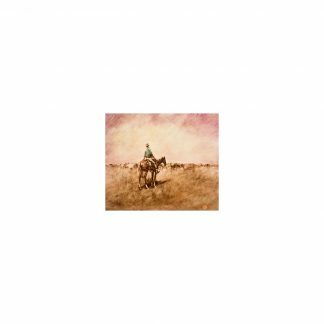 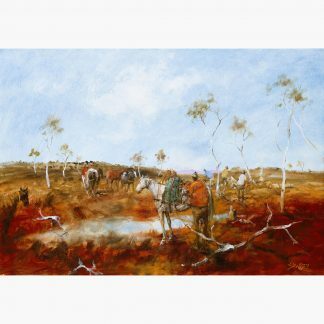 The Territorian is a spectacular example of Hugh Sawrey’s ability to capture the essence of equine portraiture. The original work recently sold at auction to a private bidder for over $100.000. 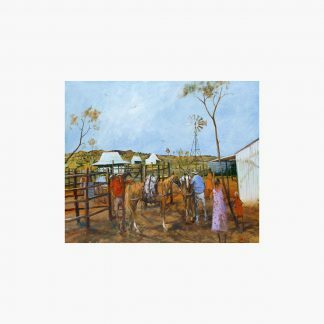 This type of lean stock horse was, and still is, typical of the type mount a stockman working on the vast stations of the Northern Territory would depend on. 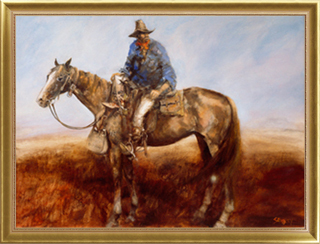 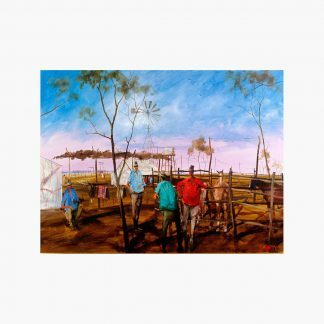 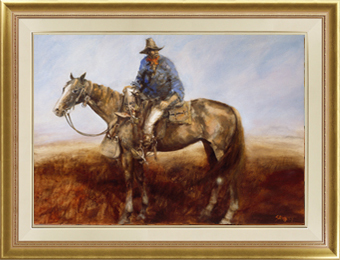 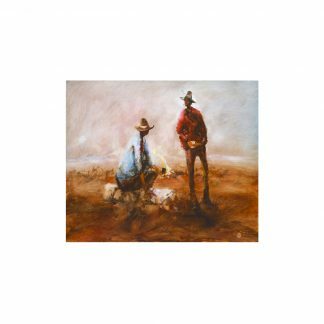 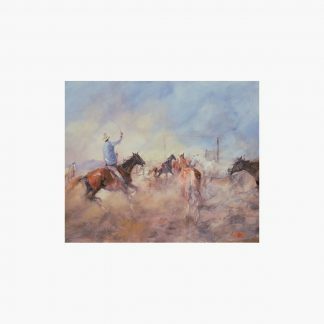 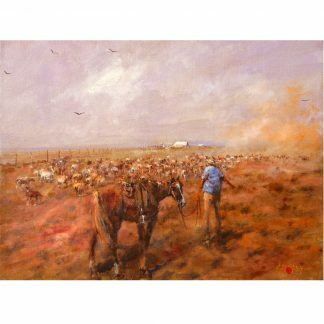 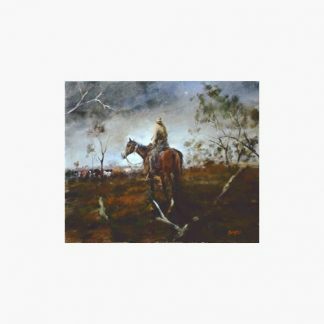 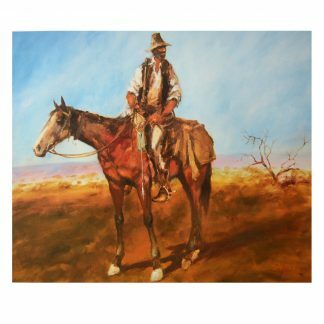 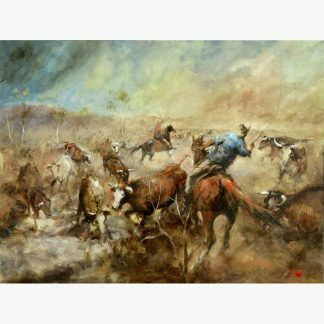 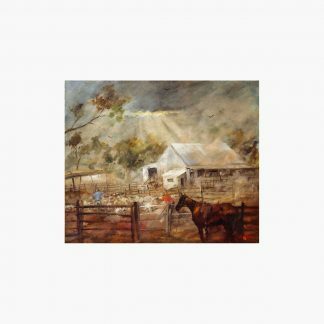 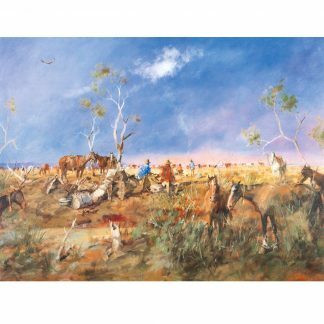 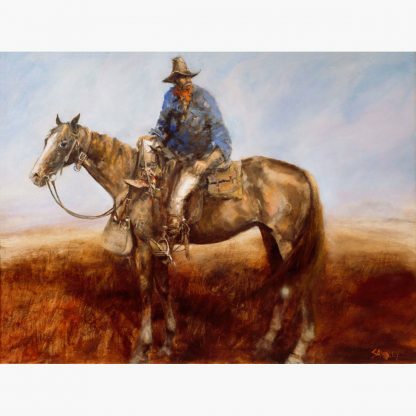 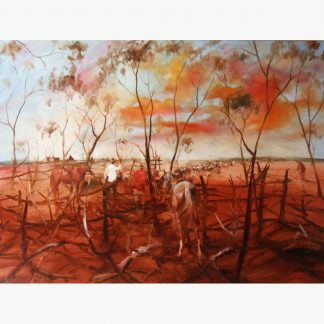 This work also features many details that could only be known by some one like Hugh Sawrey who spent much of his life in the saddle such as the hobble straps on the horses neck and the gators on the rider’s boots.